Hi Cardmakers! 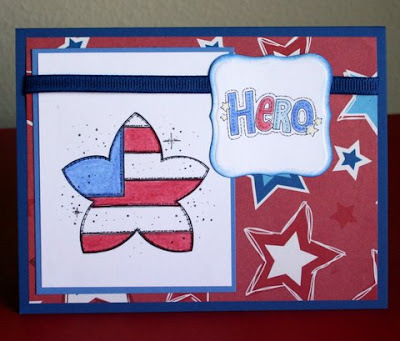 If you watched this week's OWH TV, you heard Sandy put out a request for AnyHero mail. The shippers are in need, so let's please be sure to include a bit with each package! And it just so happens that today's sample cards are super cute AnyHero cards, feel free to CASE them! First, check out the sketch! 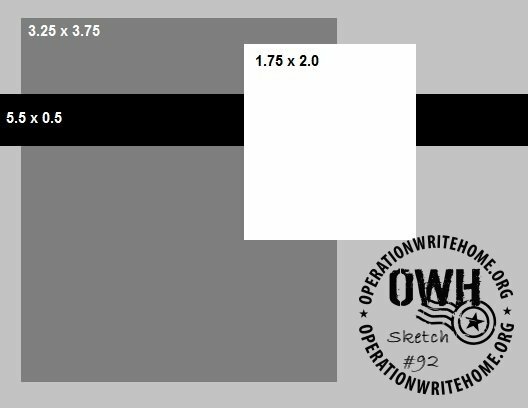 Remember that all our sketches are designed for A2 sized cards (4.25" x 5.5") since that is what we prefer to receive. Our sample maker this week is the talented Marsha. She has a blog called Gramma's Room, be sure and visit to see more of her beautiful work. Thanks for the awesome sample cards, Marsha! Everybody read to go, now? Don't forget some AnyHero cards, please, and be sure to come back and link up your card so we can all visit! This looks like a fun sketch. Marsha did a great job on the samples too. Now I need to go and see what I can do -- wishing everyone a wonderful day crafting! I really enjoy the sketches. It helps me focus on actually making a card. I really like both of these cards. The red, white, and blue of the first. The image, sentiment, and color of the second. Thank you for the inspiration. Great sample cards Marsha! 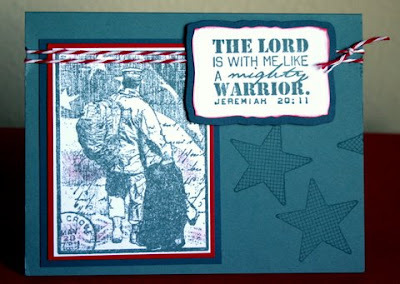 I love the twine and that image/sentiment combo is unique and perfect for OWH cards. I may need to hunt it down if my spending freeze ever ends. Great sketch and the samples really help me envision an Any Hero card that I want to make. I especially like the second card with the vintage image and the teal colors. Loved the sample cards- they inspired me to get right on with making a card! Thanks for sharing. Thanks for another great sketch. It's so much fun working with new layouts. Wonderful cards, Marsha. I especially like seeing how crafters use the baker's twine. Thanks for a fun challenge Julie, I flipped your sketch to fit my image :) Marsha your sample cards are wonderful!